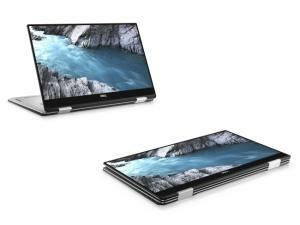 The new Dell XPS 15 2-In-1 from DCC. The multi-award-winning Dell XPS 15 2-in-1 (9575) laptop is now available to the South African channel from official distributor, Drive Control Corporation (DCC). The ultra-thin (16mm) 15-inch 2-in-1 laptop features Dell's InfinityEdge 4K Display combined powerhouse features such as 8th Gen Intel Quad Core processors with custom Radeon RX Vega M discrete graphics, plus 4GB of dedicated high-bandwidth memory. "The Dell XPS 15 2-in-1 has walked away with numerous industry and reviewer awards, and with good reason. It undoubtedly represents the next evolution in PC usage, combining excellent functionality and usage in a powerful 2-in-1 package, an important game-changer in a very competitive marketplace," said Heinrich Pretorius, Dell EMC Consumer Product Specialist at DCC. The 2-in-1 incorporates Dell Power Manager, which allows users to customise their laptop acoustics, temperature and performance based on their preferences. It also dynamically delivers the maximum power from the laptops while monitoring and managing system temperatures. Another important feature of the Dell XPS 15 2-in-1 is its MagLev keyboard design, which reduces the thickness of the keyboard by 24% without compromising the typing experience. Dell has also taken cooling to the next innovative level; the 2-in-1 is built with ultra-thin GORE Thermal Insulation, which provides thermal conductivity levels lower than air in a thin, flexible format. This keeps the system cool when handling heavy workloads. The 2-in-1's synthetic graphite heat spreaders also distribute heat across the device while GORE Thermal Insulation helps to insulate that heat from the end-user. With a built-in gyroscope and accelerometer, the Dell XPS 15 2-in1 can differentiate between lap and table positioning, adjusting the system's performance and the temperature accordingly. * Dell Mobile Connect pairs iOS or Android smartphone with the 2-in-1. With Dell Mobile Connect, users can channel notifications from phone calls, SMS, IMs and other apps to their laptops. Also, Dell Mobile Connect offers point-to-point, secure connection, ensuring data is never exposed via unsecure Internet connections.